Here on the Reader Spot, I share the bookish love of our avid book reviewers. From young adult to historical romance, chick-lit to a murder mystery, they know what they like, and they’re happy to share. Whether you are a reader looking for a new book, or a writer wondering what your reader wants, I hope you find this series enjoyable. Next up to the Reader Spot is reviewer, Kaisha Holloway from The Writing Garnet. Find her book review blog HERE. 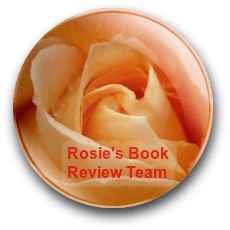 Chick-lit, psychological thrillers, contemporary romance, humour, YA, some crime. Pretty much most things as long as it’s not too gorey! Sorry I gave you more than one! Do you have a favourite author in this genre? Tough one! I like many authors. Can I give you a few? Of course, the more the merrier! Lisa Jewell, Clare Macintosh, Carol Wyer, A.L.Michael…..I have loads though, it’s like picking your favourite shoe haha. How do you prefer to read your books? Amazon mainly, but also supermarkets. Wherever I find a book I like if I’m honest. Where do you find out about the books you read? Book bloggers, Amazon and sometimes on Goodreads. Do you have a budget when buying books? Do you stick to it if you do? Not really. If I want a book I will buy it. But that said, sometimes a book cost can be a bit far-fetched but if it’s an author I enjoy, of course I will buy it. Do you write a review when you’ve finished reading? If so, where do you post this? Yes. I post the reviews on my blog The Writing Garnet, Goodreads, Amazon US, Amazon UK, Netgalley. I like a book to have a strong storyline because without that the book won’t really have much to go on. For me, it needs to be believable with characters that you dislike and do like. I like a book which can give me an emotion of some sort, even if that’s shock. In bed usually because I find that the easiest place to get comfortable. But even laying on the sofa, there is no wrong place to read! I’m active on my personal Facebook page, my blog’s Facebook page, Twitter, and of course my blog. Lovely to meet you, will sign up for your blog. Great piece as ever Shelley – nice answers Kaisha!